This section profiles the Grand Circle Loop of Utah & Arizona National Parks. This includes Grand Canyon National Park in Arizona, either the North Rim or South Rim, Lake Powell (Glen Canyon National Recreation Area on the Arizona/Utah border), and Utah’s Zion National Park and Bryce Canyon National Park. The Grand Circle can be covered in a week. Zion and Bryce Canyon National Parks can be visited with an overnight stay. 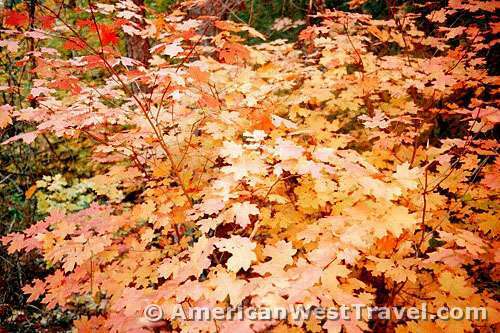 Southwest Utah offers excellent attractions for both tourist and recreationalists. Two of Utah’s most popular national parks, Zion and Bryce Canyon, are an easy drive from Las Vegas, heading north on I-15. Zion National Park is 163 miles, about a three-hour drive. Bryce Canyon National Park is an additional 87 miles, another two hours of driving. It is possible to do a long day trip to Zion but spending at least one night at each park would be much more enjoyable. From Page, US-89 continues north into Utah. Hikers and backpackers may want to visit the Paria Wilderness and Coyote Buttes about thirty miles north of Page. Both are available by reservation only. 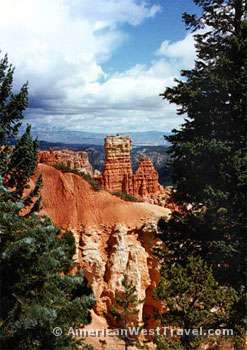 North of Kanab, Utah, the route gives access to Bryce Canyon National Park – east on Utah-12 – and Zion National Park – west on Utah-9 which eventually reaches I-15 with a quick and easy return to Las Vegas. The Grand Canyon – Lake Powell – Bryce Canyon – Zion National Parks loop can be completed in less than a week. It is about 850 miles of driving. A week to ten days would be much more enjoyable and less rushed. Visitors with more time, two weeks or more, can complete the spectacular larger Grand Circle loop. Continue east from Flagstaff on I-40, then north on US-191 towards the Four Corners area. This provides opportunities to visit Petrified Forest National Park with its outstanding views of the Painted Desert, Canyon de Chelly, Monument Valley, and other great locations. US-191 continues north into Utah to I-70, reaching two more great Utah national parks, Canyonlands and Arches. The loop then turns west through Utah’s Capitol Reef National Park, then reaching Scenic Utah-12. This great route passes through the surreal landscapes of Grand Staircase Escalante National Monument before reaching Bryce Canyon National Park from the east. From there you head south to Zion and the return to Las Vegas.